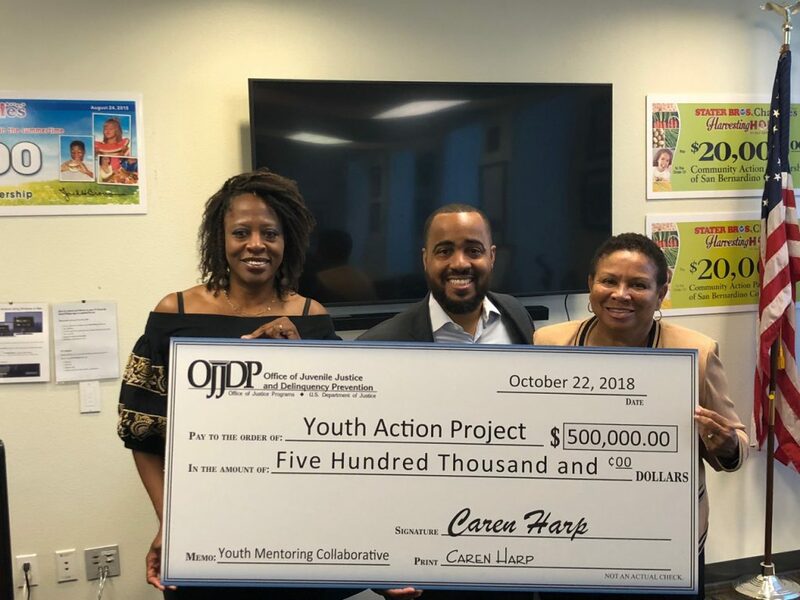 San Bernardino, CA– San Bernardino, CA– Today, the Youth Action Project(YAP), a San Bernardino based non-profit organization, announced funding from the U.S. Office of Juvenile Justice and Delinquency Prevention (OJJDP)’s 2018 Mentoring Opportunity for Youth Initiatives grant program for $500,000. 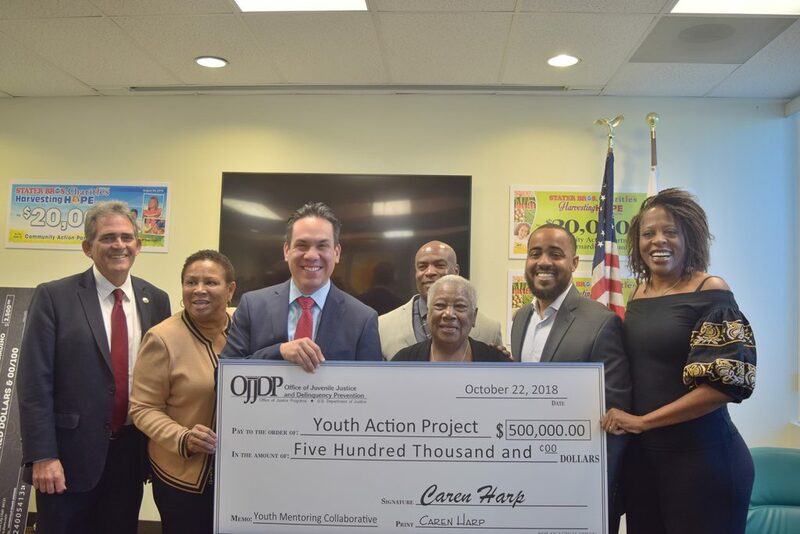 In making the announcement YAP founder Joseph Williams was accompanied by Rep. Pete Aguilar (D- San Bernardino), Rialto Mayor Deborah Robertson and San Bernardino Mayor Carey Davis. The grant will allow YAP, Young Visionaries’Executive Director Terrance Stone, Sigma Beta Xi’sDirector Corey Jackson, and the Youth Action Mentoring Network– to detect and assist Inland Empire students who show risk factors for opioid abuse. The e3p3 Model, created by M.H.M. & Associates (a professional grant firm) serves in creating strategically aligned public, private partnerships. This win affords the City of Rialto, students and their families in being one of the first that will benefit from the program efforts to dress the Opioid Crisis. Today’s announcement comes just over one year since Rep Aguilar announced an additional $500,000 to combat the broader opioid crisis within the Inland Empire.